Bob Montgomery was 7 or 8 when he began learning to repair the machines in his father’s Seattle shop. He spent some 85 years working on IBM Selectrics and Smith-Coronas, mostly from his Bremerton shop. 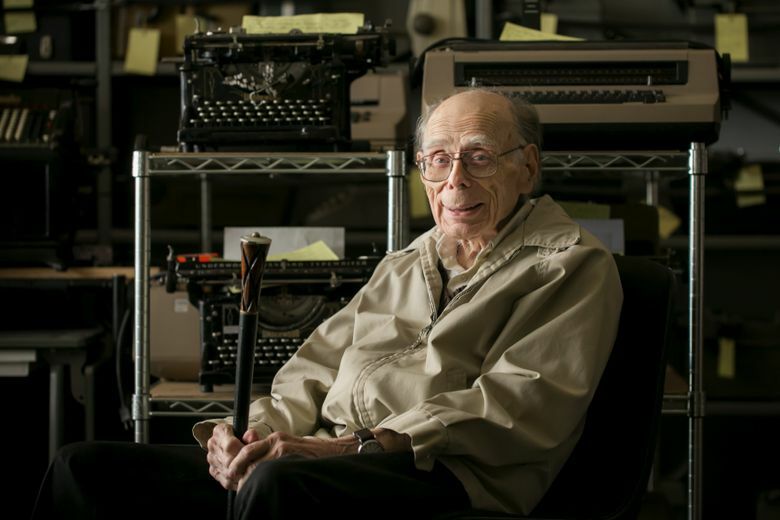 He didn’t mind being known as the area’s last full-time typewriter repairman. Bob Montgomery loved the things, and had since childhood in the 1930s. Never married, his home really was a massively cluttered fifth-floor office in old downtown Bremerton, surrounded by IBM Selectrics and manual Remingtons. Thousands of parts were stored in the little drawers and the shelves had dozens of repair manuals. When he tired, there was a couch for naps. 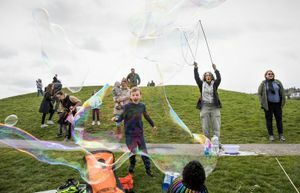 When first profiled in The Seattle Times in 2014, he told about when he was 7 or 8 years old and went to the downtown Seattle shop of his father, also a typewriter repairman. The son helped by changing ribbons and cleaning machines. When he was drafted and trained as an infantryman during World War II, his records showed he could repair typewriters. And so Mr. Montgomery ended up repairing the machines in Bushy Park in London. That was right where Gen. Dwight D. Eisenhower was stationed as supreme commander of the Allied Expeditionary Force. After the war, it was back to the family business, which eventually moved to Bremerton. That’s seven decades of repairing the machines. 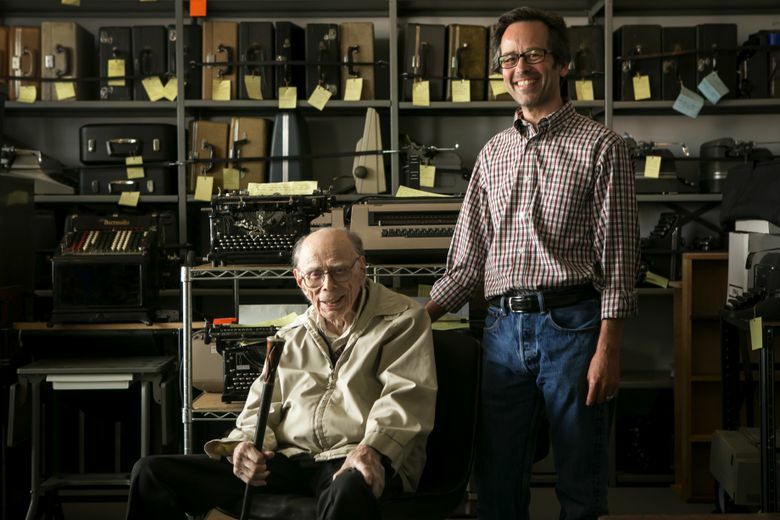 His customers were collectors, those who had never adjusted to staring at a screen, and the people who had found granddad’s typewriter in the attic and wanted to see it restored. There were also those who still used IBM Selectrics, of which 13 million were made from 1961 to 1986. One customer was a broker who sells hotels. The broker said that some people he dealt with “don’t do email stuff.” They wanted it typed out, on a real sheet of paper that you could hold. But in the digital age, the health of the Bremerton Office Machine Company was not good. By the end of 2014, Mr. Montgomery was 11 months behind in rent and unopened bills had piled up on a desk. Friends talked about shutting the place and getting rid of what they could. Then came a new friend in Mr. Montgomery’s life. Paul Lundy, 58, of Kingston, Kitsap County, read The Times’ story about Mr. Montgomery. 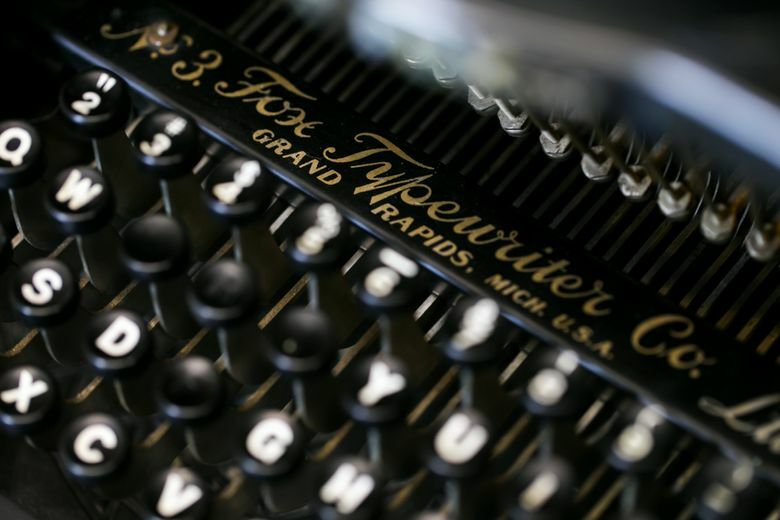 Lundy had taken typing classes in high school, but he was no typewriter collector. There was just something about the elderly man’s passion that intrigued him. Lundy was looking for a change after 15 years as a director of facilities at a biotech company. He drove to the Bremerton office building and saw firsthand how Mr. Montgomery worked his craft. “I had an epiphany. What an amazing single-purpose machine,” says Lundy, who bought the shop. And a bit of a miracle has happened with the Bremerton Office Machine Company. Not big bucks, but good enough. Memorial services for Mr. Montgomery are pending, Lundy said. He had no near relatives. 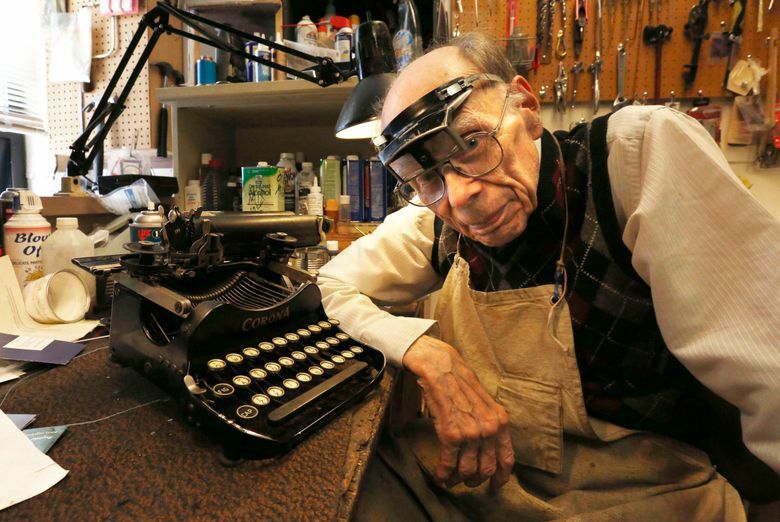 Lundy has taken on the mantle of the area’s last full-time typewriter repairman.